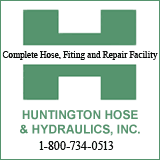 HUNTINGTON, WV (HNN) – A multiple fire company dispatch Friday evening at about 5:20 p.m. contained the heavy smoke emanating from heating unit , preventing its spread. The response to the Hampton Inn , Cracker Barrell Road, Barboursville, brought units from the Barboursville, Ona, Ohio River Road and Green Valley volunteer fire departments. .
Cabell County Sheriff Tom McComas complimented the rapid and multiple agency response. He told the Herald Dispatch that the successful prevention of a fire at the Hampton came as reminders of the deadly Emmons Junior Apartment fire stayed etched in first responder memories. Nine civilians perished in that blaze; one fire firefighter narrowly escaped with a melted helmet. Huntington Fire Department officials had recently drawn a safety comparison to the devastating fire when asking council to approve additional gear for firefighters, including improved communications gear.